Industrial corridor boundaries in Chicago. To view or use these files, compression software and special GIS software, such as ESRI ArcGIS, is required. This dataset contains the owner information for all the accounts listed in the Business License Dataset, and is sorted by Account Number. 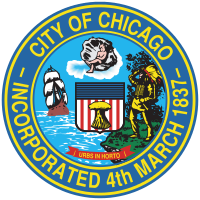 To identify the owner of a business, you will need the account number or legal name, which may be obtained from theBusiness Licenses dataset: https://data.cityofchicago.org/dataset/Business-Licenses/r5kz-chrr. Data Owner: Business Affairs & Consumer Protection. Time Period: 2002 to present. Frequency: Data is updated daily.